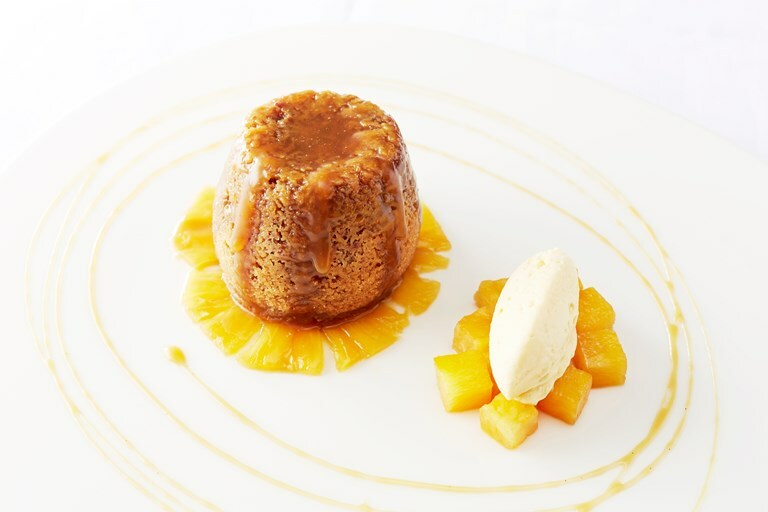 Will Holland's sticky ginger pudding recipe features mango cream and marinated pineapple for a tropical take on the humble steamed pudding. The pudding is kept extra moist with an adaptation of butterscotch sauce, infused with ginger beer for an extra warming flavour. Will Holland's career path was set at age fourteen, at Bristol's Swallow Hotel under Michael Kitts. After training at college, Holland worked with Michelin-starred chefs at the Homewood Park Hotel and at Gravetye Manor Hotel.